With the Tour of Bright looming I’m off to see Jason Nichols at Inspired Orthotic Solutions to finally get fitted to my time trial bike. With the position on a time trial bike playing a monumental role in how fast you go, I’m keen to be as powerful, efficient and comfortable as humanly possible. For me, this is the most compelling reason to get a bike fit. If you tell someone they’re going to be more comfortable (despite it being important), most shrug their shoulders and procrastinate. 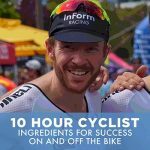 If you tell someone they’re going to be five, ten or even fifteen percent more powerful on the bike, it sparks the competitive beast, “If I can be fifteen percent faster up that hill, maybe I can finally beat John on Saturday morning”. How will a bike fit give you more power? By aligning the cleats, seat height and overall seat position, you will essentially engage all the relevant muscles to pedal with more grunt. From personal experience, when I first got fitted on my bike, my cleat position was too far back and my seat was also too far forward. Subsequently, I wasn’t utilising all the muscles in my legs. When I was finally fitted correctly, I could immediately tell I was engaging the pedal properly for the first time. I instantly felt more powerful and my ability to maintain power for longer periods of time also improved. Unfortunately, I didn’t have a power meter at the time to prove the point definitively, but I could tell my overall strength on the bike increased. It’s simple: if you feel more comfortable doing something, you’re more likely to do it. 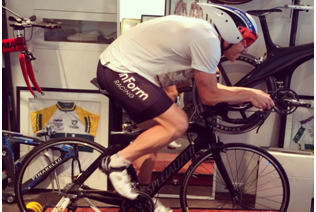 “Comfort is king” according to bike fitting expert Jason Nichols. Not only because it enables more consistent riding, but it is the overarching factor to more power, injury prevention and overall efficiency. 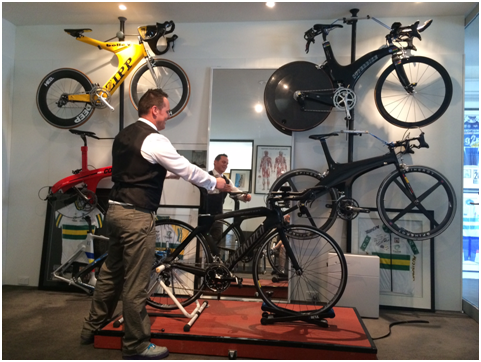 When you get a genuine bike fit, typically you’ll be measured and tested. Things like flexibility, sit bone and shoulder width, deviations in leg length and feet anomalies all come into play. Obviously with this level of detail it is hard for most local bike shops (that are focused on selling bikes) to fit everyone true to their individual physical needs. Seeing someone who has expertise in human anatomy can help significantly. For example, Jason Nichols from IOS has a background in orthotics, giving him a solid foundation in human movement. Experienced experts like Jason can probably pick any adjustment you need as soon as you walk through the door. Once the bike is fitted to you, as opposed to the other way round, you will organically become a more efficient rider. Unfortunately for some, injury becomes the compelling factor to eventually go and get a bike fit. But if you’re one of the lucky ones who haven’t crossed that road yet, think of this: a bike fit will cost you anywhere between $150 and $300. A back, knee or neck injury could cost you thousands of dollars and plenty of time off the bike. For me, it was constant hip pain after riding for long periods that compelled me initially. I got massages, went to physios and even iced my hip throughout the day. After properly realigning by cleat position during the bike fit I’ve never had hip issues again. I’ve also probably saved a few thousand dollars in avoided physio costs and not wasted numerous bags of frozen peas! Hopefully you are compelled to get a fit, but make sure you do your research. Start off by speaking to friends who ride and have been fitted professionally. Reputation in bike fitting seems to travel far and wide. And don’t believe for one second that all bike shops don’t know how to fit you well. I know some great local shops that use high quality technology to get you in the right position. They’ve also done numerous fits and have a good foundation in different body types and overall cycling needs. Just do your research and you’ll be pedaling faster than ever before.